AmpMe is a make-shift surround speaker system based on your devices. It turns all of your phones and tablets (and your friends' phones and tablets) into speakers for the same song, synchronizes playback across all of them, and lets the party starter choose which tracks get streamed for everyone. When it was released in October, I reviewed the app and concluded that it was good, but that it was neck-to-neck with SoundSeeder, another alternative on Android. It all depended on what you wanted: AmpMe has SoundCloud support, a better interface, and an iOS app; SoundSeeder has local music and Google Play Music playback, queue management, and more options. Now AmpMe is jumping a small step ahead by supporting local music playback. 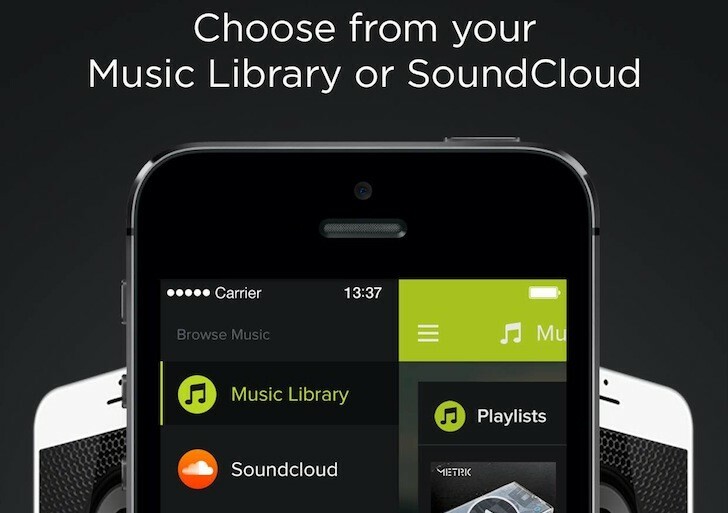 Version 2.0.3 of the app adds another provider to the list of music sources: your own storage. When you start a party, you'll be able to pick your own tracks and stream them to the other devices that join in on the fun. Sadly, this doesn't use a local Wi-Fi transmission, but it seems like the track is uploaded from the host and then streamed to everyone else. That's probably due to AmpMe's sound-matching technology for synchronizing playback, but it's a real black hole of bandwidth. If you have a 512Kbps connection like mine, you'll likely hit a wall when trying this. I wish the creators would find a way to decouple their audio-matching voodoo from the servers and apply it locally. If you have a faster connection and want to give it a try, you can grab the app from the link below.